The Discovery Center was having a special member's only event (perfectly scheduled a week before our membership ran out) that included dinner. Aidlen was very excited there were no dinosaur bones but they did have flyer of an upcoming Dinosaur Petting Zoo event that was happening on Monday. So we had to come back! 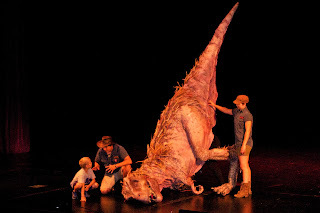 One Monday, a company from Australia was doing a show at K-State that involved dinosaur puppets and the kids can interact with them. During the day though they were at the museum for people to come in and see them then too. They were also giving away dinosaur toys. Aiden was in love. The puppets were really cool. They made noises and blinked their eyes. It reminded me of the Lion King play I saw in September. They were also giving away two tickets to the show that night and since there were not very many people there and we registered our family 6 times (the benefit of having 5 children!) we had very good odds. And Damon won! Damon and Xavier both had baseball games and so I took Aiden and Grayson to the show. Aiden LOVED it. Grayson was scared and cried the whole time. But it was pretty cool and really impressive since it was all done by 3 people. 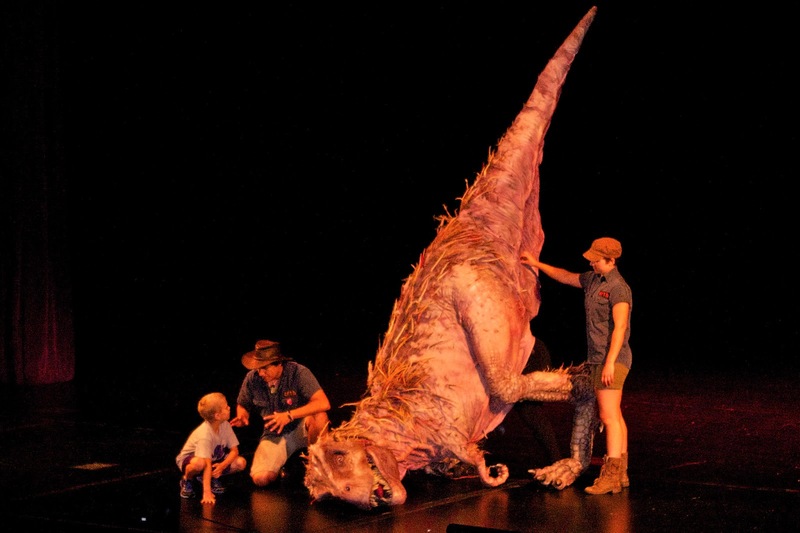 What a cool weekend for your dinosaur lovers! 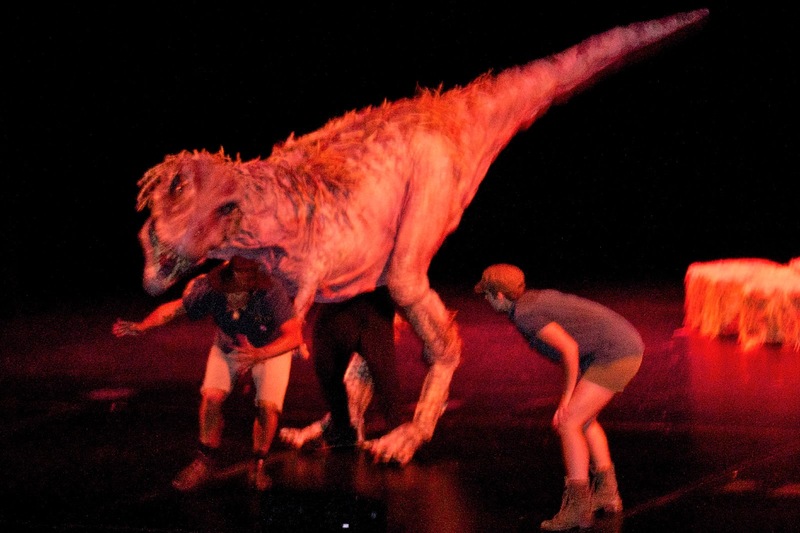 That show looks really cool but it reminds me of a museum we went to in California when some guy in one of those life-like T-rex costumes came charging into the room and all of my men almost peed in their pants. I don't think I have ever seen so much terror on Charlie's face as I did that day! I finally had to walk him out because he was crying so loudly. :) But it was cool all the same!